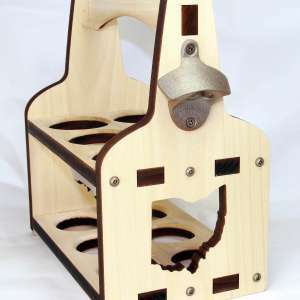 Beer Carrier – Dog years — Handmade by G3 Studios and ready to ship. 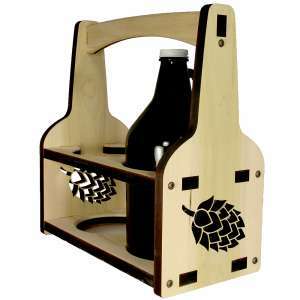 Our wooden Dog years beer carrier is crafted from poplar. 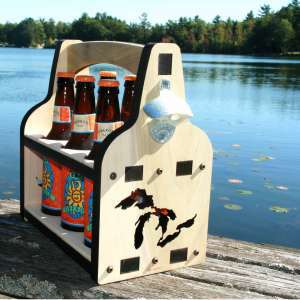 Take the beer carrier to your friends house, to the boat, or out to your patio. 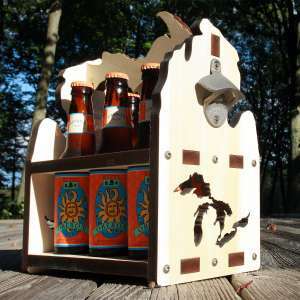 Fill it with your favorite craft beer for a perfect gift for him, her, or both. 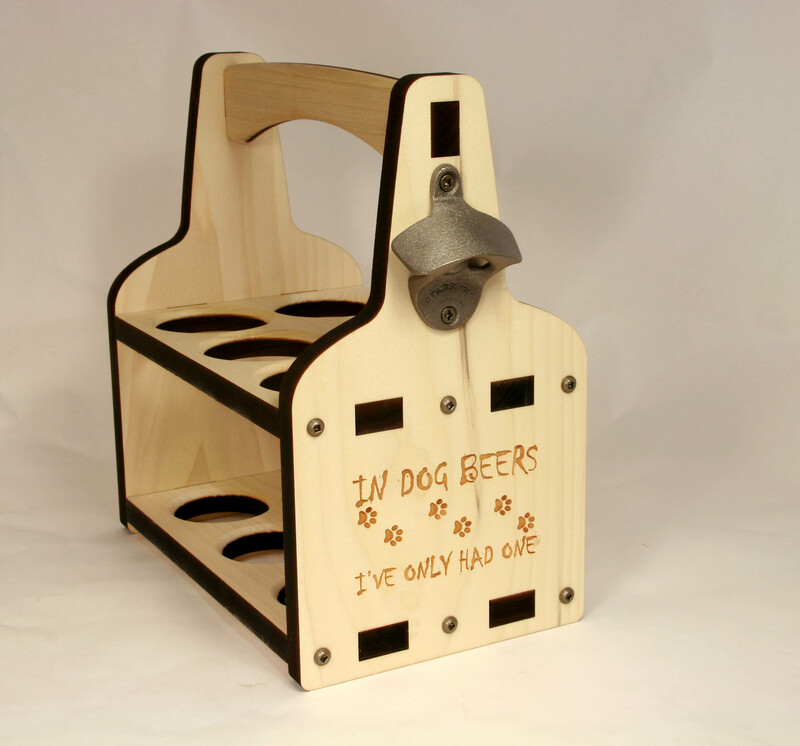 Each beer carrier has “In Dog Years I have Only Had One” engraved on both sides with an opener attached. 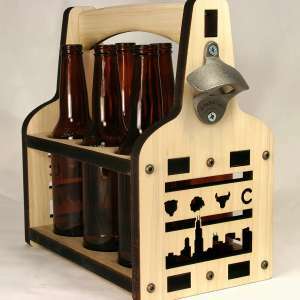 The curved handle makes it comfortable to carry. 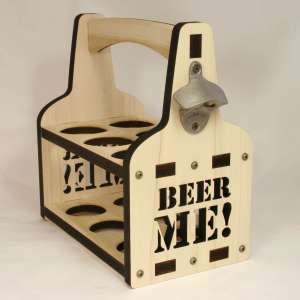 Each bottle sits in its own recessed pocket hole and is separated at the top by a circular partition.